A meeting in a secluded resort, an incentive remote island hopping trip, a conference at a jungle surrounded temple, or an exhibition at a state of the art international standard hotel. Whatever your MICE requirements Cambodia, Laos, Vietnam and Myanmar Hanuman Travel have it covered. The countries of the Mekong region represent a unique destination with incredible culture and natural beauty there is something to offer everyone. International standard hotels with in-house conference facilities; secluded resorts with meeting rooms; and attractions and activities to suit all tastes–nature lovers, culture vultures, the adventurous, the health and spa enthusiasts, the cuisine aficionados, the environmentally-conscious, the sun and sea worshippers, and the shoppers. Hanuman is a leading destination management company, and is a specialist in the organisation and realisation of unique and imaginative meetings, incentives, conferences, and exhibitions. Our experienced, multi-lingual and multi national team offers a complete management service from inception to completion. We pride ourselves on our ability to package an entire event so as to minimise the amount of time and effort that our client is obliged to spend during the entire process. No programme is too large or too complex for us to operate. We are dependable, creative, highly respected, and have the expertise and back up to ensure the success of every programme. We have an excellent relationship with our suppliers ensuring that our clients receive an unrivalled experience. Hanuman was given the task of creating a 'Tomb Raider' luxury jungle experience for a 4-day gathering of Moet-Hennessy’s 20 most senior executives. This involved setting up a luxury meeting and accommodation tents with electricity, air-conditioning, and other amenities in a UNESCO World Heritage site. It required more than just creativity and good planning, but also navigating the Cambodian bureaucratic maze. The highlights of the event were: VIP express customs and visa clearance at Siem Reap International Airport; transfers to/from the airport in a vintage Mercedes Benz stretch limousine; 2 nights accommodation in the luxurious Amansara; 1 night accommodation in luxury African safari style tents in the midst of the torch-lit jungle, including a stunning shadow puppet show in the evening; a custom-made conference tent with all modern facilities erected adjacent to an ancient temple and surrounded by lush jungle; a 5-star al fresco lunch prepared and enjoyed in the jungle setting; a post-sunrise Krug Champagne breakfast along the moat of the magnificent Angkor Wat temple; fun temple tours in stylish remorques (tuk-tuks), as well as an exhilarating helicopter ride to experience this fascinating area from above; and a farewell World Monuments Fund gala dinner at Preah Khan temple featuring mesmerising Apsara dances, the Minister of Tourism in attendance, and all delegates gifted a tailor-made Cambodian silk suit to wear for the event. 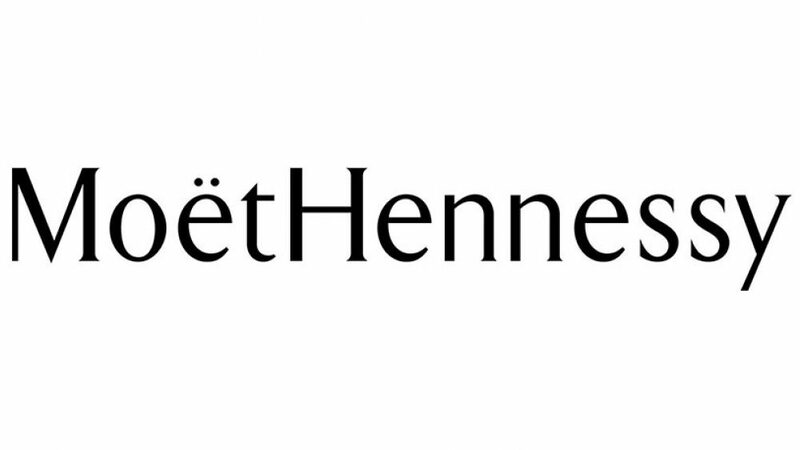 Paul Skipworth, Hennessy's event organiser, said the 4-day event proceeded seamlessly, and it was one of the most innovative senior executive gatherings he had experienced. 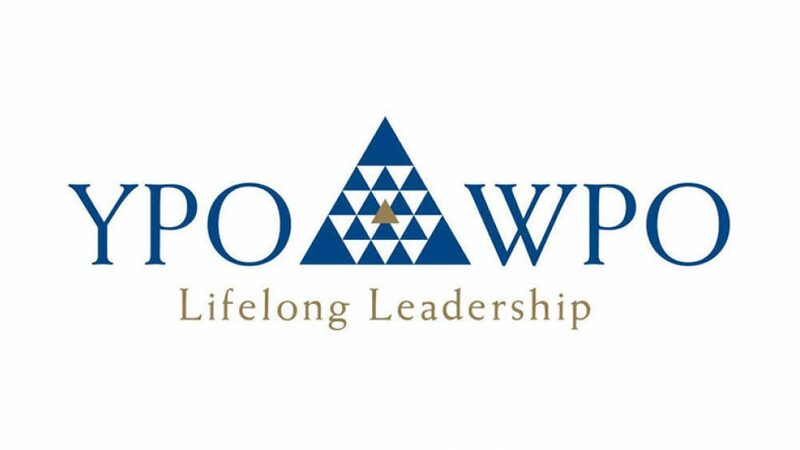 YPO is an exclusive peer network of more than 10,000 global business leaders spread throughout 75 countries. The network allows its highly astute members to exchange ideas, pursue learning and share strategies to achieve personal and professional growth and success. YPO asked Hanuman to organise a 4-day unforgettable meeting and learning experience in Siem Reap for 60 of its members. After thorough consultation with YPO's representative , we organised a full program that included: VIP express customs and visa clearance on arrival at, and departure from, Siem Reap International Airport, including a garland welcome; 3 nights luxury accommodation at the 5 star Raffles Grand Hotel d'Angkor in the heart of Siem Reap; exclusive use of Nick Ray (Lonely Planet author, and Angkorian temple expert) as Event Leader and Lecturer; sunrise yoga and meditation sessions; sunset experiences surrounded by the mystical Angkor Wat temples; a presentation by the Cambodian Minister of Tourism; an exotic farewell poolside Asian barbeque accompanied by traditional music and enigmatic Apsara dancers; and of course daily tours to learn all about the history of the many fascinating temples in the area. Both organisers and participants thought it was an excellent 4 days, the best compliment being that some of them have since booked private holidays with Hanuman. YPO and WPO (World Presidents’ Organisation) have since returned to travel with Hanuman on many occasions in Cambodia. Louis Vuitton came to Cambodia to shoot images for their new Men’s Spring/Summer Collection around the Temples of Angkor and Hanuman took care of all the production services. 1 Catalogue Shoot, 10 Magazine Shoots, 11 models, 11 collections and a host of supporting fashion photographers and stylists adding up to more than 80 crew on the ground. Hanuman ensured that the Louis Vuitton teams shot with flair and care around the iconic Temples of Angkor. 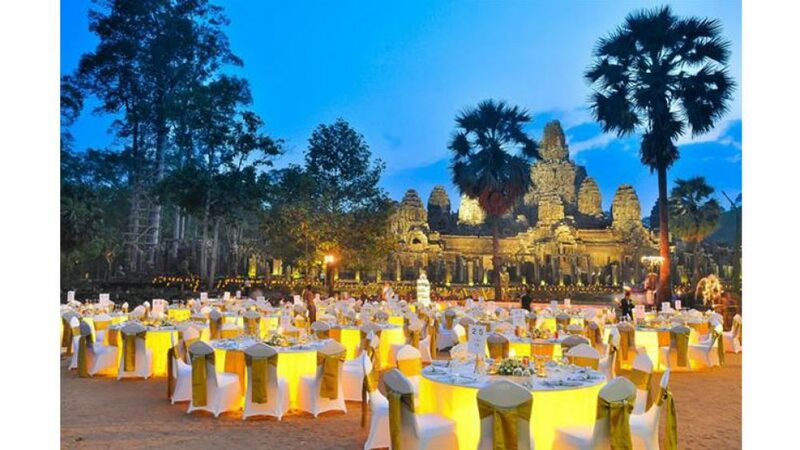 Highlights included accommodation in Amansara and Raffles Grand Hotel d’Angkor for all the Louis Vuitton team and magazine crews, as well as a catered lunch at the Baphuon Temple in Angkor Thom for the Louis Vuitton main crew. 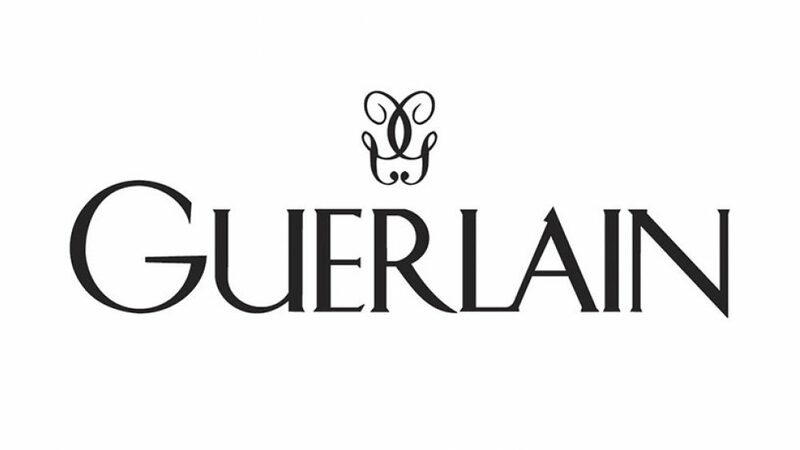 Permissions for all magazine shoots were arranged through Hanuman and we had 10 different renowned international fashion magazines on location at Angkor, including Elle, GQ and ID. French cosmetics firm selected Cambodia to launch a new perfume range and worked together with Hanuman to real a spectacular event to mark the occasion. 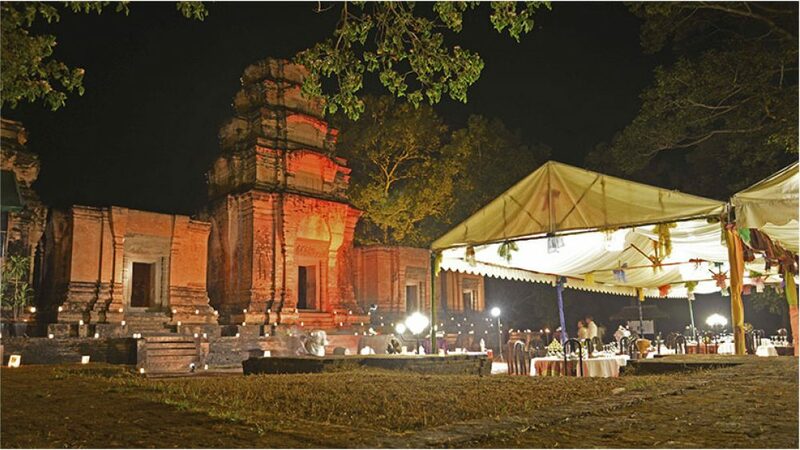 Hanuman hosted a temple dinner at Ta Som Temple in the Angkor area. Dating from the reign of Jayavarman VII, it is a beautiful 12th century temple with a stunning strangler fig tree on the East Gate. As well as a fully catered temple dinner, Hanuman arranged cocktails and canapés around the temple and a range of ‘living Apsara statues’ in full classical dance costume. One of the world's leading IT suppliers, Hanuman worked with Cap Gemini on a MICE trip to Siem Reap and the temples of Angkor for 75 guests. The Cap Gemini team stayed at Raffles Grand Hotel d'Angkor and was welcomed at the hotel with a traditional Chaiyam dance. Following an afternoon tour of Angkor Thom by remork-moto (tuk-tuk), the guests then enjoyed sunset cocktails at our very own Sala Kdei traditional Khmer House overlooking the royal bathing pond of Sra Srang. The trip continued with a bicycle ride through the beautiful Siem Reap countryside to the temples of Roluos, dating from before the time of Angkor when Hariharalaya was capital of the Khmer Empire. After visiting Preah Ko and Bakong temples, the guests continued to the incredible stilted village of Kompong Pluk to visit the Tonle Sap Lake. A picnic lunch was enjoyed at Sala Roluos, the stunning wooden house was designed by one of Cambodia's leading architects Hok Sokol. After visiting the flagship Artisans Angkor workshop in Siem Reap, the group had some free time to enjoy the stunning facilities at Raffles before enjoying an evening event at Athakon House with a demonstration of the traditional Khmer martial art Bokator, as seen on the bas-reliefs of the Bayon. On the third day, the group visited the immense jungle ruin of Beng Mealea before enjoying a local lunch at Borey Sovann Restaurant under the shadow of the holy mountain of Phnom Kulen. In the afternoon, they visited the beautiful pink sandstone temple of Banteay Srei, the art gallery of Angkor, with some of the most exquisite carvings seen anywhere on earth. In the evening the group enjoyed a private temple dinner at Prasat Kravan temple, including a performance of traditional dance. Angkor Wat was the highlight of the final day and their visit included a monk's blessing at the Mother of all Temples, the world's largest religious building. Angkor Wat is the perfect fusion of symbolism and symmetry and a source of pride and strength to all Khmers. Built in the 12th century by King Suryavarman II, this is most famous temple at Angkor. The group begain by unravelling the mysteries of the bas-reliefs that tell of tales from Hindu mythology and of the glories of the Khmer empire. Stretching for almost one kilometre, these intricate carvings are a candidate for the world’s longest unbroken piece of art. Following in the footsteps of the devout and the destructive before them, they continue to the upper levels of the inner sanctuary. Finally the pinnacle, the sacred heart of Angkor Wat, a blend of spirituality and symmetry so perfect that few moments will measure up. Part of the United Nations family, IFAD looks after global agriculture all around the world in conjunction with UN member states. IFAD selected Cambodia for its annual conference and after a lengthy tender process, Hanuman was selected as the company to host their four-day annual conference and workshop in Siem Reap, Cambodia. More than 300 delegates from all over the world travelled to Cambodia for this annual event, including participants from more than 100 countries. Hanuman arranged some extremely exclusive events for the IFAD group, including an address by Prime Minister Hun Sen at their conference and a temple dinner at Bayon temple in Angkor Thom. The temple dinner included an invitation list of more than 400, including ministers from the Royal Government of Cambodia and members of the Royal Family. 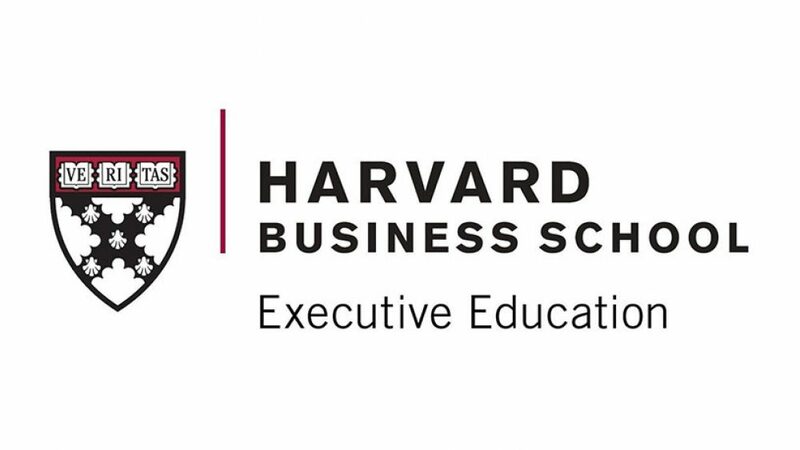 Hanuman has worked with the world’s leading MBA centre, Harvard Business School, on their Immersion Trips to Cambodia in recent years. As part of its two-year MBA program, students were invited to take part in Field visits to learn about business in a foreign environment. Phnom Penh was one of 10 global cities chosen to host these Field Immersion trips and Hanuman has already run three of them in the past few years. The trip involves about 60 First Year MBA students travelling to Phnom Penh to team up with local businesses in the banking, insurance, entertainment and education sectors, among others. The students are split into groups of eight and team up with their local partner business to work on new products or new ideas for marketing to the target audience in Phnom Penh. Global partners in previous years have included Smart, Sabay, Brown Coffee, Forte Insurance, CIMB Bank, Platinum Cineplex and AMK. The students travel to Cambodia for more than one week and really immerse themselves in the business scene in the Cambodian capital. All students stay at the Himawari Hotel & Apartments and host several events such as the Global Partner Dinner, with VIP guests from the Cambodian government and business community. Hanuman has organized all the Field Immersions to date and works closely with Harvard Business School on selecting the Global Partners. One for one. With every pair purchased, TOMS will give a new pair of shoes to a child in need. 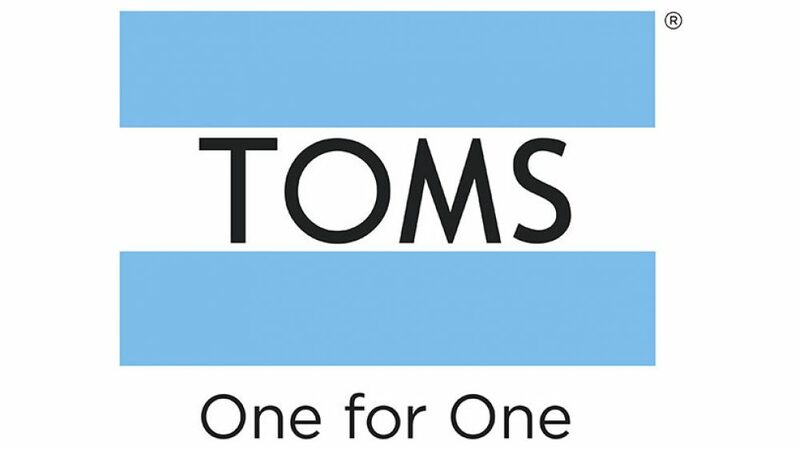 TOMS is a successful social enterprise that has given millions of pairs of shoes to children around the world thanks to its one-for-one model. More recently TOMS has moved into eyewear and provides free glasses or a sight operation to people in the developing world every time someone buys a pair of sunglasses. The TOMS team travelled to Cambodia to shoot a documentary about their philanthropic work in the kingdom and put together images for their Spring catalogue. TOMS founder Blake Mycoskie joined the team for a short visit and the shoot was a superb success, including project visits to Cambodia Children’s Fund in Phnom Penh and Seva in Battambang Province. The film shoot ran for a week and included a secret visit to the kingdom by three members of the celebrated fusion band Dengue Fever, including Nimol, Zac and Paul. The catalogue shoot continued into the second half of the month and featured renowned Somali supermodel Ubah Hassan, who had a fantastic experience in the country. The TOMS crew had a ball with the Hanuman Films team in Cambodia and Kulikar Sotho was once again rated as the best Fixer they had worked with anywhere in the world. We have a sneaky feeling they will be back in Cambodia at some stage, as they all had such an incredible experience. “Dear Kulikar, I cannot tell you how amazing working with you has been such a joy! You are a true professional. Thank You.” Felipe Hernandez, VP of Creative Services, TOMS. Tomb Raider was the first major Hollywood film to shoot in Cambodia since Peter O’Toole starred in Lord Jim in 1964. The Tomb Raider crew were all set to travel to China to film the Terracotta Army coming to life, when the sequence was pulled at the last minute, as it had already been featured in a Chinese movie. Cambodia was next on the list and Hanuman was chosen for scouting at Angkor. Following a successful scout with a full technical crew, Paramount British Pictures appointed Hanuman as their local servicing partner in the Kingdom of Cambodia. Hanuman co-founder Kulikar Sotho worked as Line Producer, arranging all filming permissions, script approval, temporary import/re-export of equipment, visas, accommodation, transport and catering for the production. Product Director Nick Ray worked as Location Manager on the film, selecting locations for the shoot, building a photographic inventory of the temples used in shooting, approving all sets or alterations to be made at each site and working with local authorities every step of the way to ensure this first sensitive shoot at Angkor passed without incident. Hanuman Films also took responsibility for recruitment of extras, recruitment of site security, recruitment of humpers and labourers and recruitment of a large team of interpreters. • And a successful wrap after eight days of dawn 'til dusk intensity, making Cambodia the smoothest part of the shoot for the crew. Hanuman Films was the local production company for the BBC’s legendary Vietnam special in Vietnam. Check out some behind-the-scenes footage of Jeremy Clarkson, Richard Hammond and James May as they travelled north on their motorbikes. Top Gear is one of the BBC’s best -oved programmes. 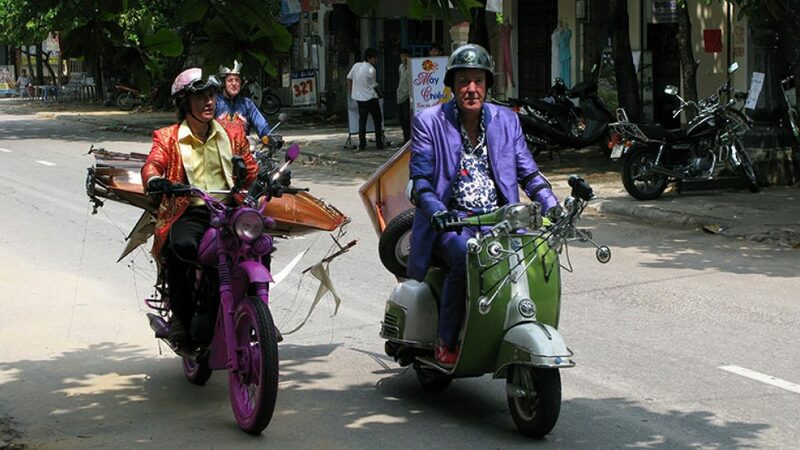 The Vietnam special involved an epic bike journey from Saigon to Hanoi: Jeremy Clarkson on a Vespa, Richard Hammond on a Minsk and James May on a Honda Cub. The show ends with the conversion of the bikes into amphibious boats to explore Halong Bay, surely the first and last time anyone explores this magnificent world heritage site by motorbike! It was quite a James Bond experience filming with six speedboats and a helicopter to capture all the angles. Nick Ray worked as Line Producer on the shoot and coordinated everything from filming permissions to motorbikes and amphibious with a team of up to 15 in Vietnam. The shoot was a great success and the show received rave reviews in the UK press and around the world. Hanuman coordinated all the logistics for the show, including permissions, accommodation, transport and amphibious motorbikes. So if you have any interest from motorbikers or Top Gear enthusiasts wanting to follow in the tyre-treads of Clarkson and Co, be sure to contact Hanuman as we made it possible for the BBC and know all the right contacts along the way to recreate their epic adventure.